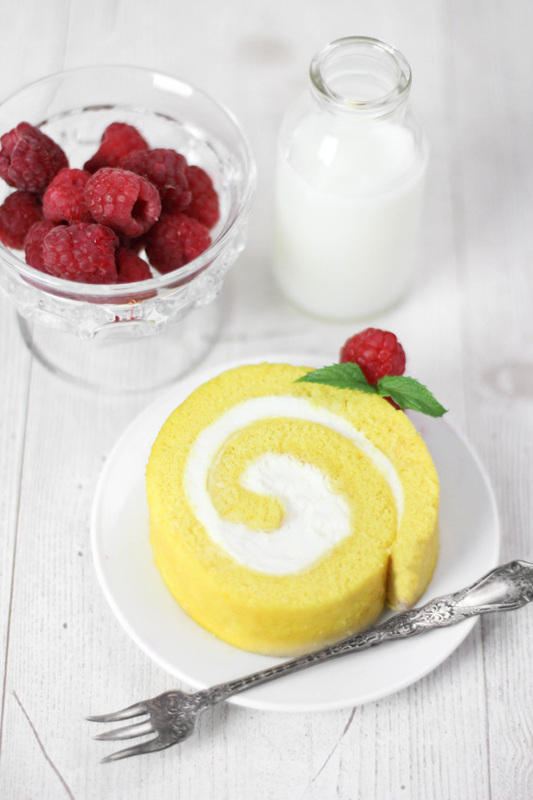 Lemon Cream Roulade - A Guest Post! I'm so excited to be guest posting today on the beautiful Australian food blog Delicieux! Come check out my Lemon Cream Roulade and an interview by Jennifer, the blog author and host. Looks amazing - off to see the recipe! A great guest post and lovely roulade! Holy mackerel that looks good! Headed over there right now to check out your recipe! Something seems to be wonky with the link. :( Or maybe it is just me? There is bunch of garbled stuff displayed. Sad because the picture looks awesome!! I'm having the same problem when I click the link - just a bunch of symbols and letters. The site hosting the post is having some kind of problem. I've contacted them and sent a screenshot of all those symbols and garbles. Hopefully it will be fixed soon! Sorry! I enjoyed the interview and loved seeing some of your past creations. I am relatively new to your site and have missed out on some great cakes. I must explore a little more. Thank you so much for agreeing to guest post at Delicieux. Your Lemon Cream Roulade looks divine! As for the people having problems loading the guest post and recipe, I think I've resolved the issue. Please let me know if you still aren't able to see it. I'm so sorry this is happening, I'm not quite sure what the cause is as it's not happening to everyone. Oh my looks so delicious! OMG! I just want to dig in. Awesome! Enhorabuena, tus post son excelentes!! That looks amazing! Is it possible to make it fresh lemon juice instead of extract? Oh, j'ai la même petite roulade... en bijou ! Un régal pour les yeux... et le palais ! This roulade is beautiful! I've only made pumpkin rolls, but I think I may just need to make this lovely lemon cake soon.